California is the hottest test bed for autonomous vehicle tests. Beginning March, the Californian DMV issued 24 entities a permit to test their vehicles on public roads. While not all companies with a license tested their cars, there is a number of companies that don’t have a license, yet they are still testing their cars in California. To be clear: testing autonomous cars in California without a license may be totally legal. Test areas such as the Gomentum Station, the NASA Moffett Airfield, or the Stanford Linear Accelerator Center (SLAC) are not publicly accessible. They are restricted areas or federal land. 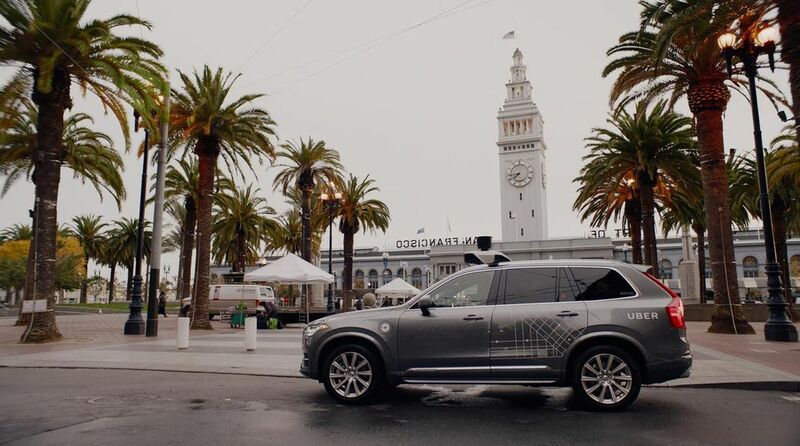 Or the vehicles may be controlled by a human driver to map the streets for later autonomous tests. The presence of a potential autonomous test car does not indicate that it’s driving autonomously. Autonomous car startup Zoox for instance is testing their cars solely at the SLAC, and they have a Californian test license as well. Peloton is not included on the DMV’s list, but they are known to test their autonomous trucks on the NASA Moffett Airfield. But there are some companies that don’t have a test license, still they do test, and there is evidence of their tests. Comma.ai is such a company as shown in their own video. Another prominent example to test without a license was Uber. They tested their vehicles in September in San Francisco, but had to stop after threats by the Californian DMV to withdraw registrations. Also Ot.to, acquired by Uber in August 2016, seems to test their trucks in California without having a license. They have done also done tests in Nevada without a test license. Here is an overview of entities that I am aware of having no test license on the DMV list, but who have tested in the past or are currently testing in California. In a twist, this week after a lot of back and forth, Uber announced to apply for a Californian test license.